Like many great CrossFit Affiliates, Freakin’ CrossFit has a standing tradition of the Memorial Day Murph. We welcome all members to the box on Memorial Day to complete Murph (or a scale-down variation, depending on skill/fitness level), to remember all of those who died in the line of duty during active military service. Murph is a symbol of remembrance for all those who have paid the ultimate sacrifice, so that we may be free. It’s important to pay homage for those who defend our great nation, regardless of any CrossFit affiliation. First and foremost, the question of “who is ‘Murph’?” must be answered. Michael “Murph” Murphy, a SEAL, was a Lieutenant in the United States Navy who was tragically killed in the line of duty while in Asadabad, Afghanistan on June 28th, 2005. LT. (SEAL) Murphy knowingly risked his own life on multiple occasions to call for help and to potentially save the men on his team by providing cover fire for them as they tried to reach safety in the midst of heavy enemy fire. Although greatly outnumbered by Taliban fighters and against all odds, Michael Murphy’s heroism contributed to the survival of one of the four members on his team. His self-sacrificing actions that day led to him being posthumously awarded the Congressional Medal of Honor. What is the “Murph” Workout? * If you have a 20lb vest or body armor, wear it. 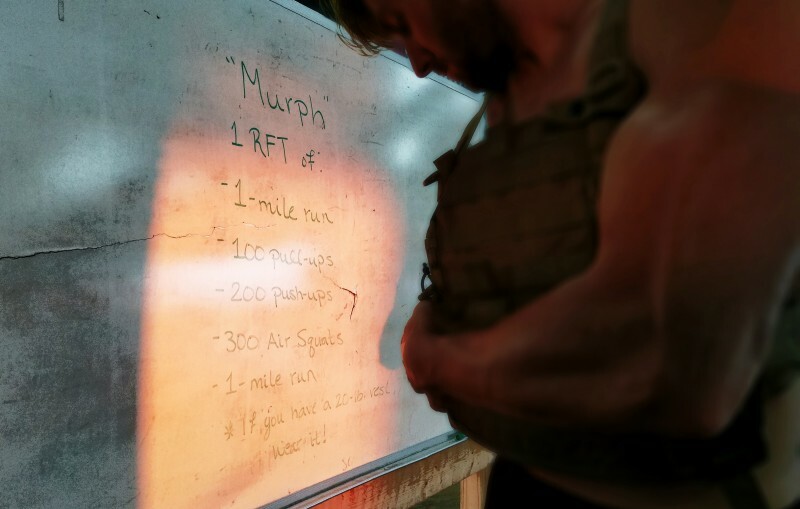 Why Do We Perform “Murph”? Murph used to perform this workout when CrossFit HQ published it back in August of 2005. It was said to be his favorite WOD, and that he even nicknamed it “Body Armor”. In honor of LT. (SEAL) Michael “Murph” Murphy, and those heroes like him, we perform this workout to the best of our ability and reflect on our freedoms these heroes gave their lives to protect. All members are asked to be at the box to begin warming up at 9:00AM sharp. The workout will be lead by our Army Special Operations Veteran and Freakin’ Tactical Athlete Program Head Coach, Will Henke.